Companies who have trouble designing good looking cars usually resort to just adding lines, spoilers, fake vents, scoops. Their idea of looking"younger". I don't think they need to make the Avalon "look younger". Let's face it, no hipsters are buying them. 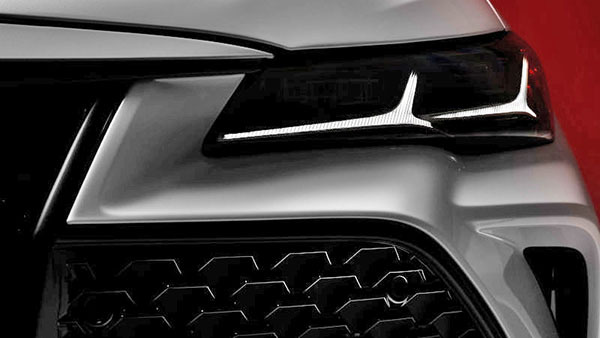 This teaser does look quite busy already, and it is only showing a small part of the front end. Let's hope I am 100% wrong. And the new Avalon looks stunning. The current Avalon has a beautiful interior, and is a great, cheaper alternative to the Lexus ES, but the front end is absolutely hideous! Also, Toyota/Lexus needs to get in the game and add Apple CarPlay. Toyota said a couple of years ago that their own system is better than Apple CarPlay. That system has been criticized a lot lately, especially in the new Lexus models. I think it's a matter of time they put their ego aside and cave in. I love CarPlay in every car I have used it. New Avalon would be First Toyota vehicle with Apple car play. Considering the Avalon is a cheaper, tackier, cheezier version of the lexus; yea, this looks about par for the course!